Chris Evans And Michael B Jordan Are Rooting To Date Captain Marvel Star Brie Larson? Chris Evans and Michael B Jordan are showing tremendous interest in Brie Larson, it seems! 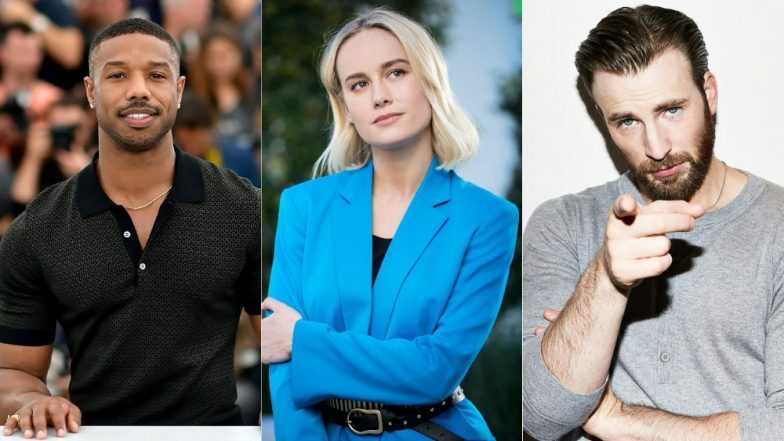 Rumour mills are abuzz with reports of how the two Marvel actors are rooting for a date with Captain Marvel aka Brie Larson. So not just filmmakers but even men from Hollywood are showing interest in interacting with Larson. When Gossip Cop reached out to Larson's rep for a comment, they went on record to state that the story is made up. The rep further added that both the Marvel actors are not romantically pursuing her. Brie has worked with both the actors, Scott Pilgrim vs the World with Evans and upcoming drama Just Mercy with Jordan. We will see Larson with Chris Evans in Avengers: Endgame. In fact, considering how both of them are 'Captains' in the Marvel Cinematic Universe, it would be interesting to see what kind of dialogue exchange they have onscreen. Stay tuned to this space for all updates.